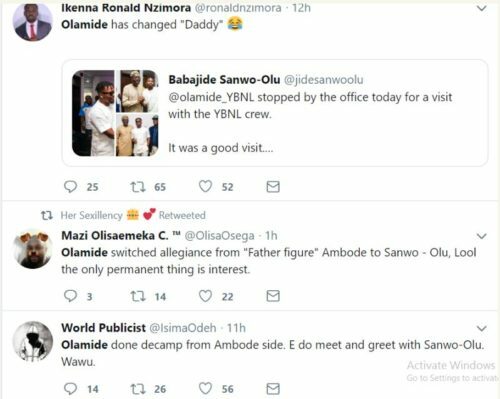 Nigerians on social media gave put Olamide on blast after the YBNL boss and his label members paid a visit to Babajide Sanwo-Olu, Lagos APC gubernatorial candidate. 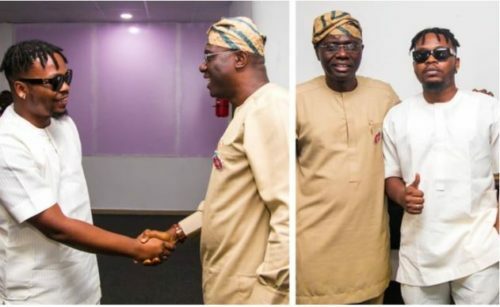 Mr Sanwo-Olu shared photos of his meeting with Olamide on Twitter saying ‘it was a good visit‘. 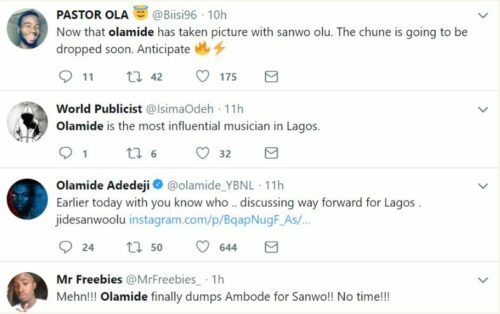 Fans of Olamide have been taken aback by his sudden support for Sanwo-Olu after Ambode lost out of the race. 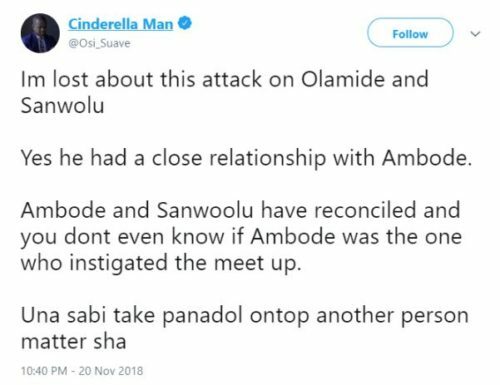 Apparently, some feel Olamide was quick to switch sides after he was known as a staunch supporter of Governor Ambode. 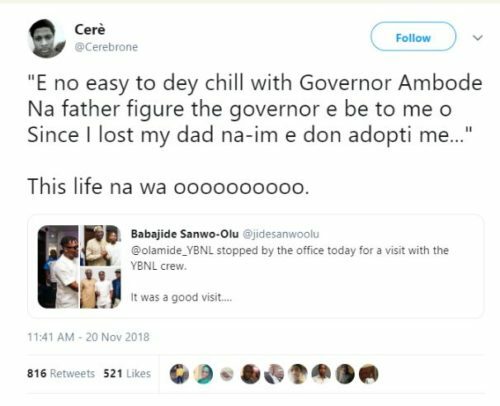 He had also called Ambode his father in his song lyrics. Below are some of the reactions of Nigerians to his support for Sanwo.